As one can hardly fail to notice, 2014 commemorates the centenary of the start of the Great War, and already books, exhibitions and television programmes on the subject abound. Many take a rather sentimentalised view of it, and already the revisionists are out in force, but for many, I suspect, it’s not a matter of great interest – after all, the grainy footage and antiquated photos make it seem like such a long time ago. And yet, a hundred years isn’t long – I remember my great-grandmother telling me that she remembered the zeppelins over London during WW1, and I recently discovered that my grandfather fought in the trenches, and lost two brothers in the war. 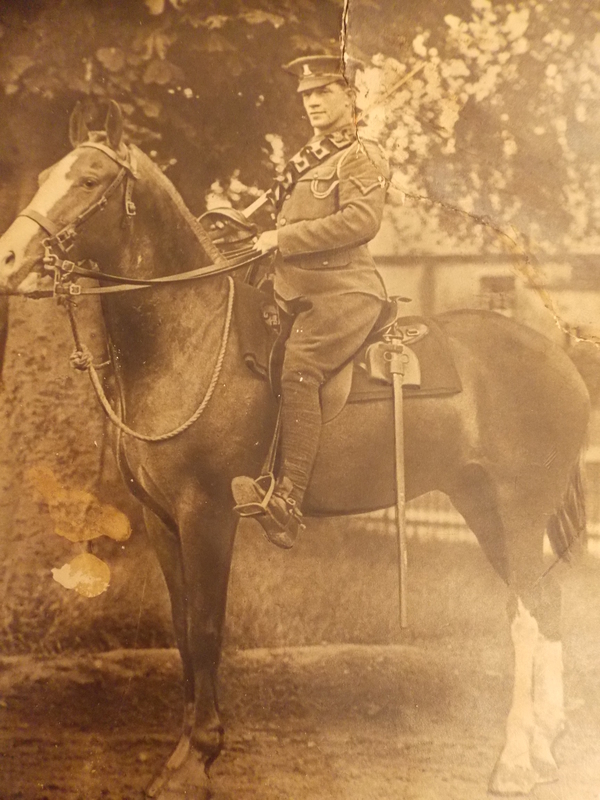 Sadly, I don’t know any more than that about his war experiences, though I have recently obtained a lovely photo of him (left). He was one of the unlucky ones to be caught up in both world wars, though he survived both, but he never talked about it. I have been pondering women’s fiction on the war. Vera Brittain’s Testament of Youth has long been a favourite book of mine, for its honesty about the reality of war for women on the homefront, and this week I have re-read Rebecca West’s 1918 novel The Return of the Soldier. West’s debut novel was published before the end of the war, and as such offers an unusual perspective on the returning soldier. Christopher Baldry returns from the Front badly shell-shocked – and as a result, he cannot remember his wife Kitty, who waits for him in their stylish house with his cousin Jenny, but has lost fifteen years of his lif e. In Chris’s mind, he is still in love with Margaret, a woman he had once hoped to marry, but who was now married to another man. The central episode of the novel is Chris’s and Margaret’s recollections of a pre-war period, when they were young and fell in love. They met on an island pub in the Thames, owned by her father, and this frames their time together as isolated from the evils of the world and the war, both in the past and in the liminal space of the island, which seems almost enchanted in their memories. Though, as several books have pointed out recently, notably 1913: The World Before the Great War by Charles Emmerson, the pre-war period was hardly as golden and peaceful as it is now imagined, there is no doubt that for writers as well as others the peace-time period was recalled as blissful in contrast to the horrors of the war. West’s novel removes the reader and the soldier from the war itself, which barely intrudes on the novel: we see almost none of the action, but instead wait, with Kitty and Jenny, for Chris’s homecoming, and observe his illness. Yet, as Jenny points out, he is happy: he has forgotten the worries which come with responsibility, of maintaining a large estate, of a wife, and a young son who died, and instead is immersed in the no-longer-young, unattractive figure of Margaret, who to him is still a beautiful young woman. Jenny ponders the question of whether ‘cure’ is the right word: what Chris is suffering from, she concludes, is not madness, but sanity: he has retreated into the past in his mind in order to escape the memories of the atrocities he has witnessed. Ultimately, though, ‘truth’ must be attained, and ‘sanity’ returned, and Chris is cured – yet an ambiguity hangs over this cure, as though it were the wrong outcom e. In the context of what we now know about the illness and shock suffered by returning soldiers, Chris’s cure seems too easy and too quick, compared with that discussed in Pat Barker’s Regeneration trilogy, for example, but in a literary sense West’s novel raises some interesting questions about the purposes of psychiatry and the ‘problem’ of madness in a world which seems insane. This is a novel which explores surfaces and depths with some subtlety. Chris’s home is beautifully furnished and managed by Kitty, yet it has changed, and on his return he seems to neither remember nor like these changes, preferring the house as it was before its makeover. Kitty herself seems a trivial creature, more concerned with her appearance than her mind, conscious of her beauty and its effects, yet silently mourning the death of her child. In contrast, Margaret is aging, poorly-dressed and seen as an embarrassment, yet as the cryptic narrator, Jenny, comes to see, she has an inner beauty that is the most radiant aspect of the novel. And Chris, whilst physically unharmed and just as he was, is bemused by how he and Jenny have aged, being locked inside his own mind and memories. This disjunction – between past and present, inner and outer – is provoked by reaction to the war, where nothing can be as it seems and the world is literally turned upside down. Though West’s novel is hardly the most realistic depiction of the war, the homefront or of shellshock, it exemplifies some very important approaches to twentieth-century cultural thought, showing the reader how the reality of war leads to an unreality of mind. You raise a good point about this being the centenary of the Great War. I hadn’t considered that until I read the beginning of your blog post. It should be interesting to see what authors and documentary makers come up with this year, hmmm? 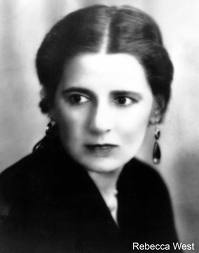 That Rebecca West book sounds interesting. I’ll have to be on the lookout for that. They used to call it shell shock, now it’s PTSD. I’ve wanted to read The Return of the Soldier since it was brought to my attention at university but somehow never got round to it. If I can’t rectify that in the next four years there’s something wrong with me. Well, it’s not very long and it’s available online so there’s no excuse! It is interesting and this is a good year to read it! Hope you enjoy it.